Is your succulent looking different? Is it growing tall and thin, leggy, and all stretched out? If this is the case, then your succulent suffers from etiolation. This means that your succulent is growing in insufficient light. Sad to say, once the damage is done, it can’t be undone. But it can recover. And you can end up with more plants in the process. Win! Let’s take a closer look at this stretched Crassula perforata. Find out why this happened, and what to do to fix it. 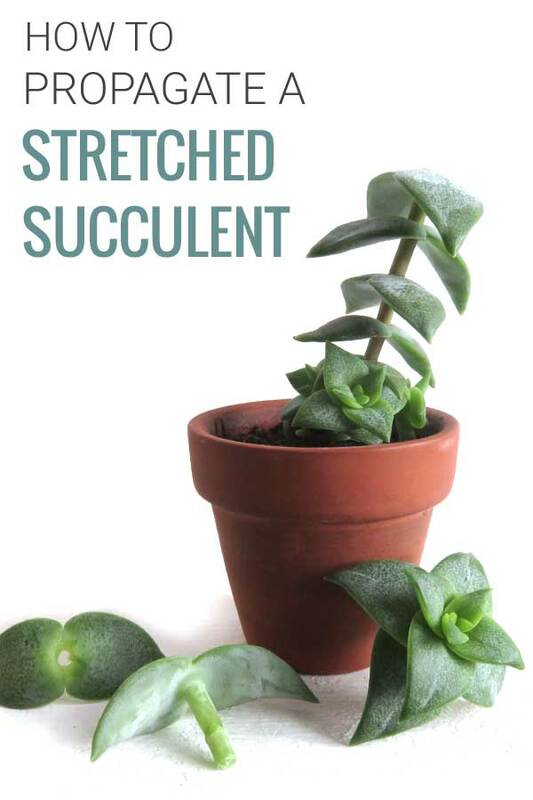 Why do Succulents Stretch out? 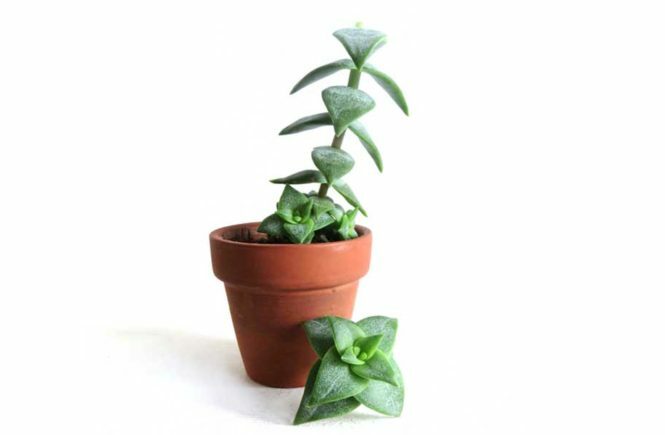 Succulents etiolate or stretch, when they have a lack of sunlight. This can happen to succulents kept outdoors in a shady spot but is most often found in succulents kept inside our homes. When a succulent does not have enough light it will try to get closer to where ever the light comes from. It will change the way it grows to get to as much light as possible. All the plants’ energy should go into being the best plant it can be but instead goes into searching for light and trying to survive. Your succulent will show you when it doesn’t get enough light. Here’s what to look out for. It will start subtle, the leaves will start to point down. 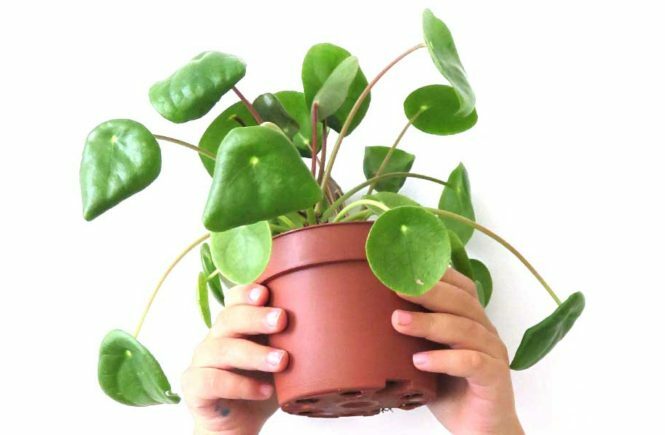 Plants curl leaves to give themselves a larger leaf area for the light to hit them. Keep an eye out for this. If you catch it early enough you can move the plant closer to the window, or maybe spoil it with a grow light. These special lights used to be quite large and expensive, but there are currently great smaller and more affordable grow lights available. If the succulent is not moved towards the light, it will slowly start leaning toward the light. In its quest for light, the succulent isn’t using its energy to grow new leaves but uses its energy to grow faster. What you will see is your succulent stretching and growing taller with wide gaps between the leaves. Again, this is another way the plant tries to get more light. The unfortunate thing is that when your succulent is stretched, you can’t undo this. When you notice the first signs of your succulent stretching, obviously provide it with more light. Find the brightest and sunniest window in your house for your succulent. The stretched part of the plant won’t un-stretch, but new growth will be more closely stacked together. 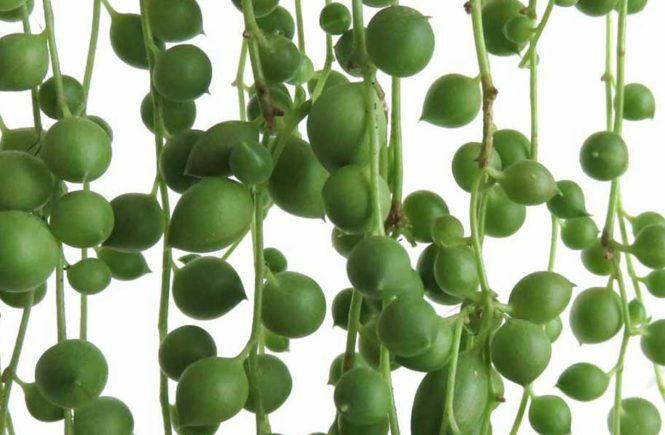 What we will do is give the plant a new start by cutting it down and propagating its parts. This takes some drastic measures, but in time will leave you with multiple new succulents. 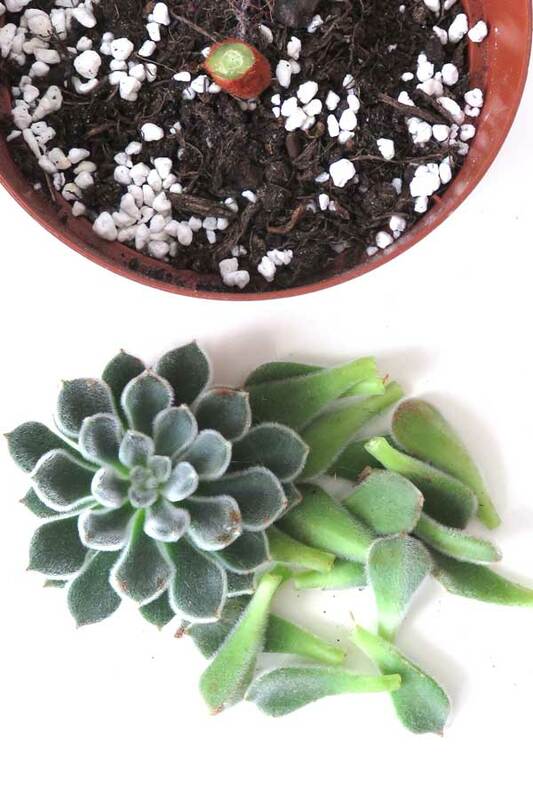 Start by cutting off the top of your succulent, the crown. Make your cut on the bottom of the first etiolated stem part. This way you have the whole crown and enough stem on the cutting to plant it later. Next, we’re taking stem cuttings. Cut off the stem with at least two leaf pairings on it. Gently strip off the bottom leaf. This will give you the stem cutting with at least one leaf on top, and a leaf without a stem. Both can be propagated. Repeat taking stem cuttings. 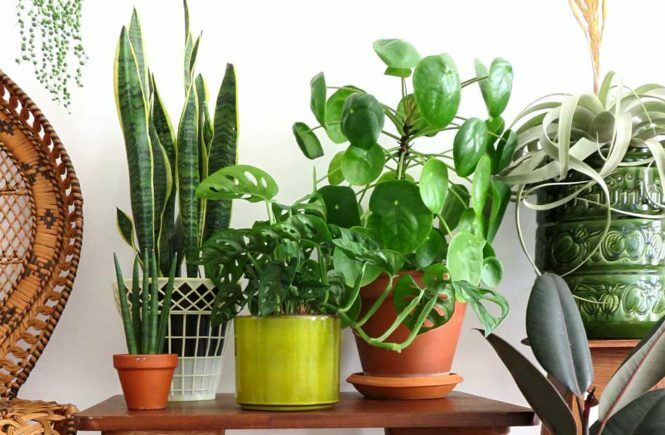 How many cuttings you take depends on how tall your succulent is, and how far down you want to prune. I cut this crassula stem all the way down, making sure to have at least one leaf pair remaining. Placed in a sunny spot it will continue to grow. Let the cuttings dry out for one or two days. Place your cuttings on a layer of well-draining potting soil, or mix some sand and or perlite in with the regular potting mix. Stick the stems of the crown and stem cuttings into the soil. The loose leaves can be placed right on top of the soil. Now the only thing left to do is wait. The stem parts will grow new roots and start to grow new crowns. Most likely more than one. The loose leaf pairs will take a lot longer to root, but with patience, these too can produce new crowns and grow. When your cuttings turn into new plants, take care of them as you normally would, just make sure to give them plenty of bright indirect light! 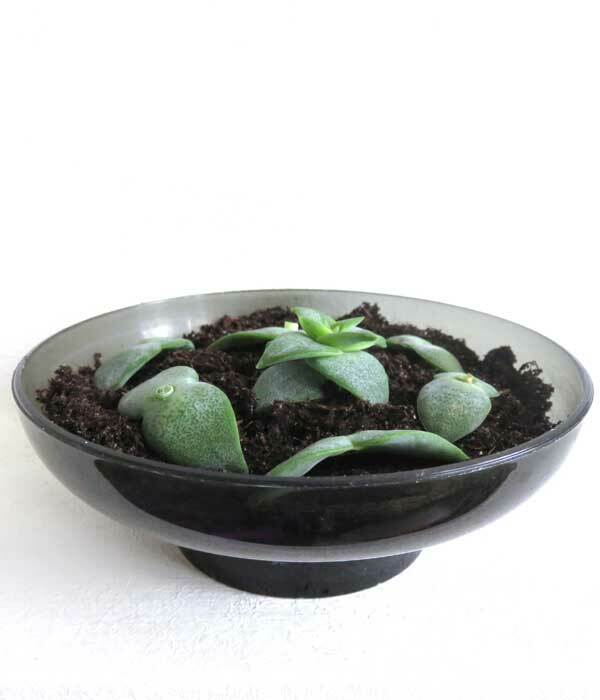 Want your own non-stretched Crassula Succulent to take care of? You can get them delivered through Amazon or Etsy! About three weeks later the succulent crown has rooted nicely and is showing new growth. The stem cuttings have rooted as well and are all growing two new crowns. Still waiting for the leaves to root. Patience is a virtue. What I do know is that what once was a leggy, stretched out succulent, is now transforming itself into a new full plant. How to fix a stretched Echeveria? 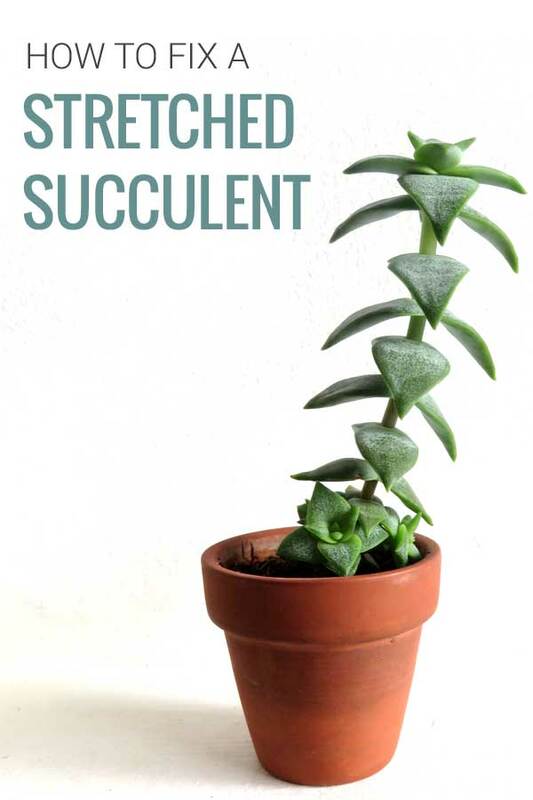 Now, what about if you have a stretched out Echeveria succulent? 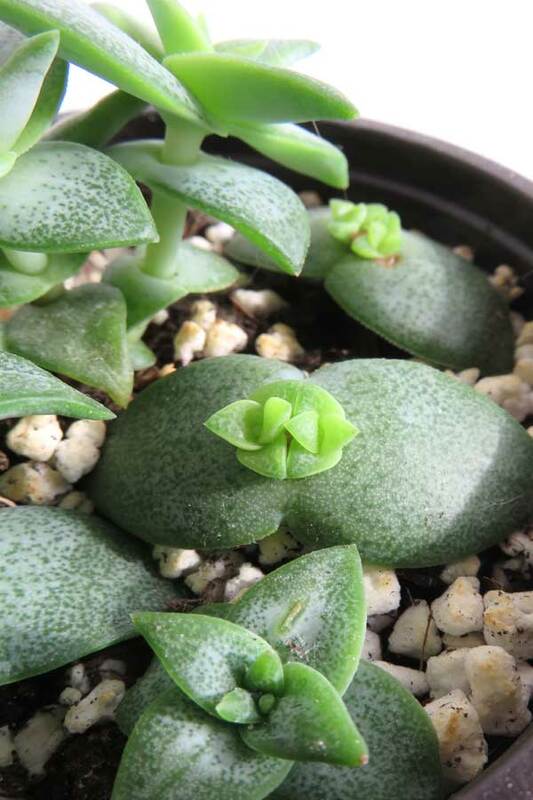 It’s simple and very similar to fixing the Crassula above. I got this Echeveria setosa that has stretched a bit and has some sunburnt bits. It is not living its best life as it is. Let’s fix it. 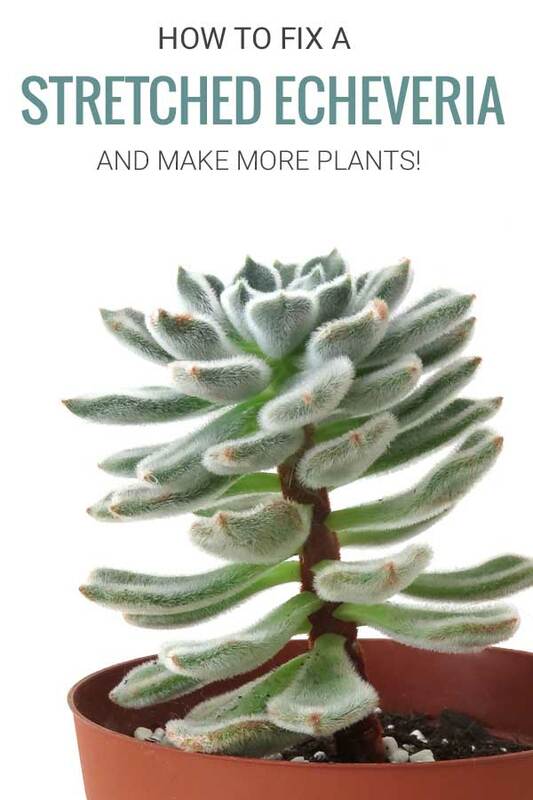 Start by beheading the crown of your leggy Echeveria. Don’t feel bad. You are not hurting your plant. You are helping it. Make sure the crown has a piece of bare stem that you can plant in soil, so you might have to carefully remove a few bottom leaves. Remove all the leaves still on the remaining stem. Now you have the crown, a bunch of loose leaves, and a little stem stump. All these can be propagated into healthy new plants. Let the crown cutting and leaves callous over. Next, you can plant the crown in the soil, and then lay the leaves out on well-draining soil. The crown will root and continue to grow, the leaves will start growing roots and new plants can grow from the cut-off part of the leaf. The stump will take some time but will grow new little baby plants around the sides of the stump. Let’s fix all those leggy, etiolated stretched out succulents and make more plants! 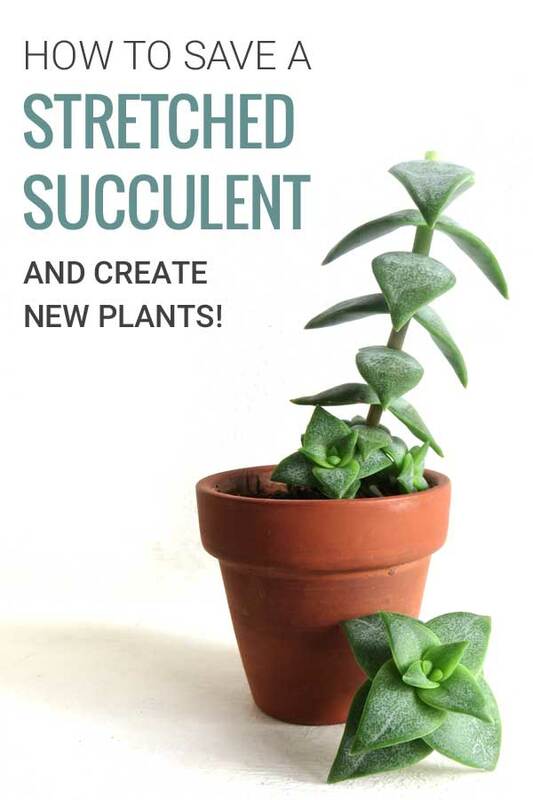 If you want to read more about Succulent care, read How to Grow Succulents Indoors. Want your own Echeveria Succulent to take care of? You can get them delivered through Amazon or Etsy! As soon as you see new growth, it means your propagated cuttings have rooted. From that moment you can water as normal. Water succulents only when the soil is very dry. You can read some more about how to water your succulents and care for them here. Good luck with your succulents!